The story goes like this. A friend of mine has a little boy, as cute as a button. All well’s there, but as many many mummies worry, she’s always on the hunt for recipes where those sneaky veggies are hidden into sweeties. When my schedule permits it I too go on the hunt for these kind of concoctions, because let’s face it everyone needs to eat more vegetables. There’s a very famous saying that butter makes everything taste better, and to many degrees it’s true. I’m a firm believer of this, and you might be surprised to see that there’s no trace of it here. And what’s more I really think that there’s no need for it. 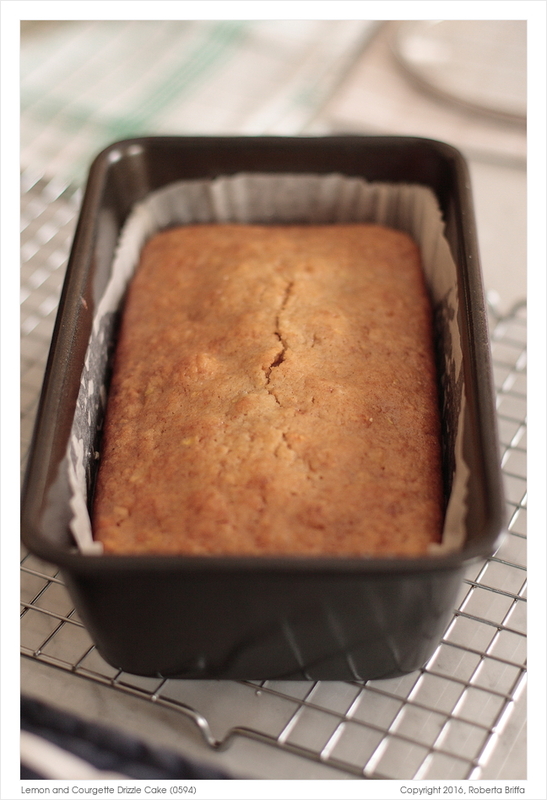 The courgettes and the oil take care of giving the cake plenty of moisture, just make sure not to overbake it. (There is such a thing unfortunately, but more on that on a later post.) The ground cinnamon is just enough to give the cake some more depth in the taste, and adding the drizzle is a must for me. This recipe is so easy, prep and all, it can be done in minutes. All you need is to be patient until the oven is done with the work. As it happens, I think this makes a perfect cake for Spring. Preheat the oven to 160°C and grease and line a loaf tin with baking or parchment paper. In a large bowl, tip in the grated courgettes, sugar and egg, and whisk. In a separate bowl, sift the flour, baking powder and ground cinnamon. Pour the wet ingredients into the flour mixture and mix together until just combined. Bake for around 45 minutes. It’s done when a skewer or knife inserted in the middle of the cake comes out clean. Leave the cake in its tin on a wire rack. In the meantime heat up the lemon juice and icing sugar in small saucepan to make the drizzle. Once it turns into a light syrup, switch the heat off. While leaving the cake in the tin, poke it with a skewer in a few places and pour the lemon syrup over the surface. When the cake cools completely, take it out of the tin onto a cake stand or plate to serve. This cake will keep moist wrapped in cling film for around 3 days in a cool and dry place. saw your comment on the food bloggers advice post but the comments closed so I couldnt leave a comment for u to see my blog. anyways I was just reading you blog and kinda loved it! It’d be cool if you checked out mine as well!! Sounds absolutely perfect. Thank you! Yes, I shall do so – definitely!